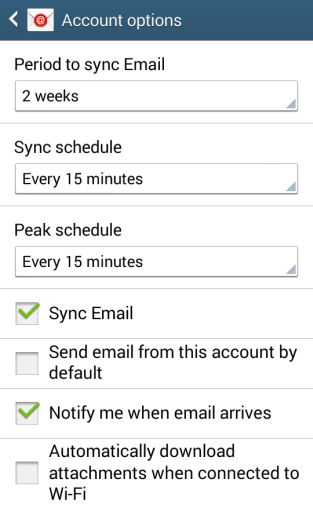 Each version of Google Android may vary slightly, but this guide will show you a generic process for setting up a new mailbox. 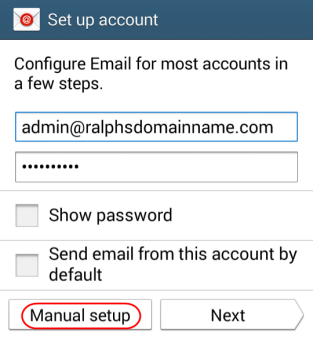 Enter your Email address and mailbox password in the text boxes provided and select Manual Setup. 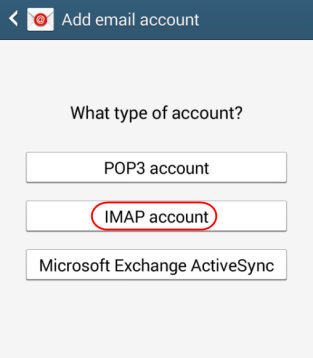 Select IMAP as the account type. 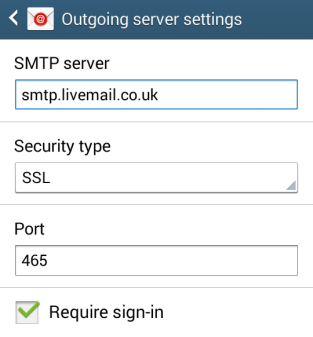 Security type: Set to SSL. Port: Leave this as 993. 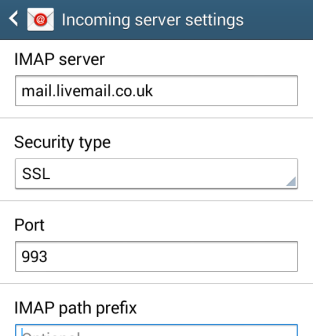 IMAP path prefix: Leave this blank. Once you have filled out all the details, click Next. Port: Leave this as 465. Require sign-in: Make sure this is checked. You will be given options to select some custom settings. Once you have chosen your custom settings, click Next. 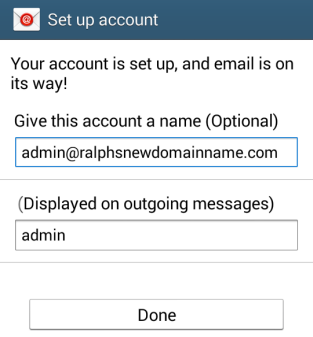 Enter an account name in the Set account name box and enter a display name in the Your name box. Your mailbox will now be ready to use.